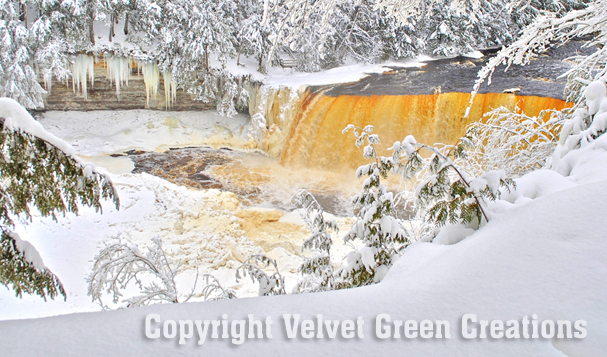 "Your Gateway to the Tahquamenon Falls!" Welcome to the Gateway Motel located in the heart of Michigan's Upper Peninsula. We offer year-round Newberry Michigan lodging that is affordable, comfortable and unique. Perfect for family and friends, we are, "Your Gateway to the Tahquamenon Falls". We offer a variety of units and each has it's own unique theme and charm. 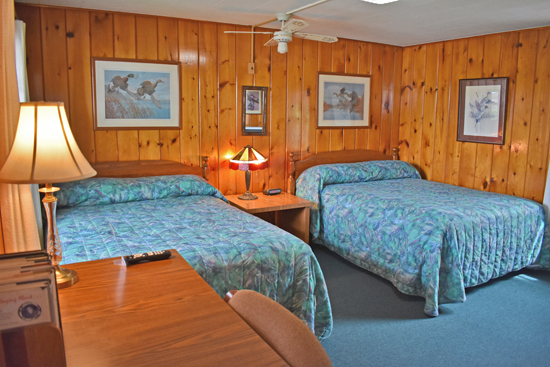 We offer eleven clean and comfortable rooms with free wireless internet, Cable TV and air conditioning. Many of our Upper Peninsula Lodging guests have written thank you cards telling us how much they enjoyed their visit. "Just to let you know - we absolutely loved this place! It is so cute, clean, and just a lovely place to stay! 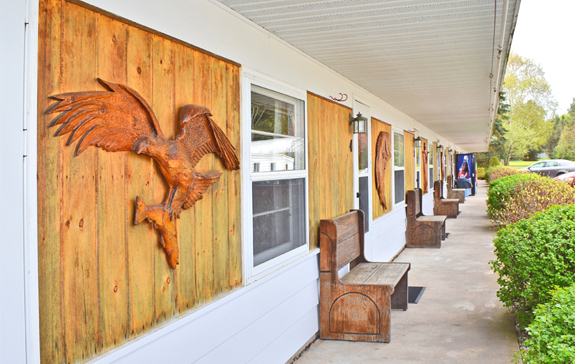 "—Ardis Vandenbass"
Our motel features handcrafted wooden carvings, by Cesar Magno, that welcome the visitor to our property. Both our property and rooms are filled with art, books, Tiffany lamps, plenty of soft fluffy towels, comfort, along with our friendly service. Pets accepted with prior consent. Mornings we have fresh coffee available in the our front office. Our Sail Fish will point out the way! We promise that interiors are never boring at Gateway Motel. For your convenience, we accept Visa, MasterCard, and Discover. Our area offers great activities all year-round. 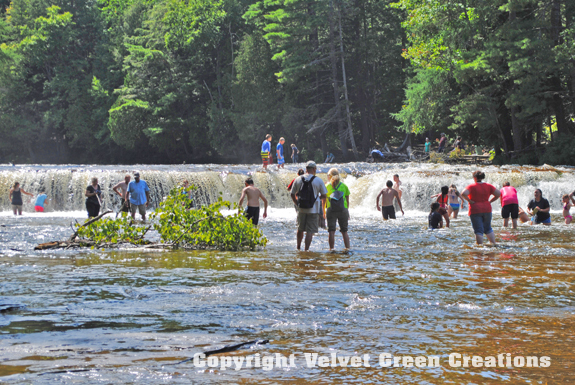 Spring, summer, fall, and winter keeps the Upper Peninsula traveler busy. Our attractions page will help direct you to all our most incredible attractions. We are within an hour to the following Newberry, MI attractions: Upper and Lower Tahquamenon Falls, Whitefish Point Lighthouse, Crisp Point Lighthouse, Golf Courses, Luce County Historical Society, Tahquamenon River Logging Museum, Tahquamenon Falls Boat Tours and Toonerville Trolley, Pictured Rocks National Lakeshore, Seney Wildlife Refuge, Mackinac Island, Soo Locks, Kitchitikipppi, and Garlyn Zoo just to name of few. 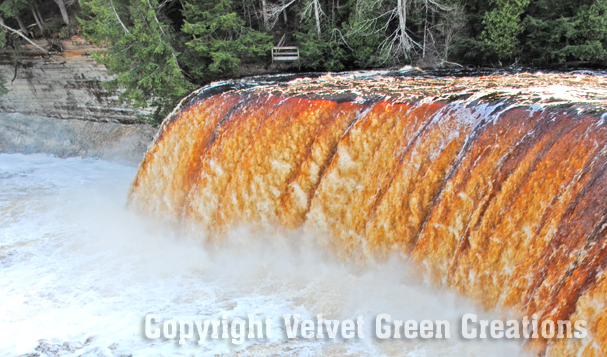 "Your Gateway to the Tahquamenon Falls—Anytime of Year"
Copyright © 2019 Gateway Motel Newberry, Michigan. All rights reserved.